Curtis Asbury talks to the journalism class. Dr. Curtis Asbury is the Distinguished Graduate organization honoree in sciences 2018. He received the recognition on November 20, 2018. At the ceremony, each honoree spoke to the Class of 2022. Asbury’s speech emphasis was “where you came from, where you are, and where you are going.” He talked about the past by saying “when I was in your seats, I did not think I could do what I do today.” He told the students not to put limits on themselves and being well-rounded is the key to being successful. When he talked about the present, he said “Always be yourself. Be vulnerable. 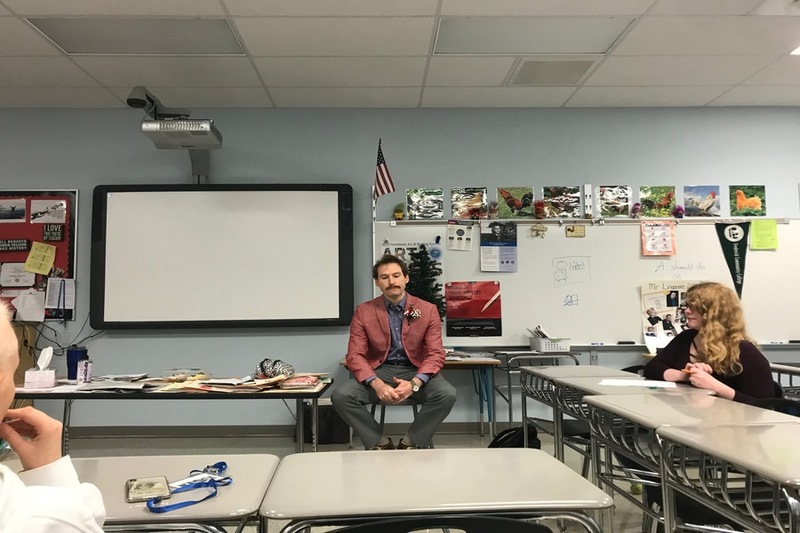 Put yourself out there.” He told the students about when he is working in the medical field he has to be himself and earn the trust of his patients. Without their trust, there is no way he can treat his patients properly. Asbury was accompanied by his father Dane Asbury. His father said, “He is not afraid to be himself.” Dane Asbury describes Asbury’s competitive nature as an advantage, especially when Curtis tried to outdo his brother. After the ceremony was over, the Vice President of SGA, Luke Goundry, gave Asbury and his father a tour around the school. Then Goundry guided Asbury to a journalism and science classes, where Asbury gave advice and answered any questions the students had. In the journalism class, Asbury shared the importance of being well-rounded. Asbury said, “My patients don’t care about my SAT grades or my GPA. They care about how they can relate to me and trust me to help them.” The biology class was not very concerned about the life lessons he had, but about the medical encounter, he has seen. Asbury and his father ended their visit with lunch in the Learning Commons, catered by Friscos.